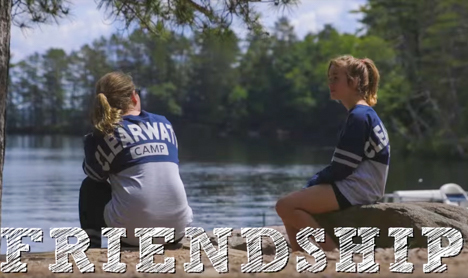 At Clearwater, meals are a wonderful opportunity for campers and counselors to come together, have lively conversation, reﬂect on their day, and foster good social skills and manners. Meals are served family style in the hilltop dining room, the Mains’l. Each week, campers sit with a new table of friends. 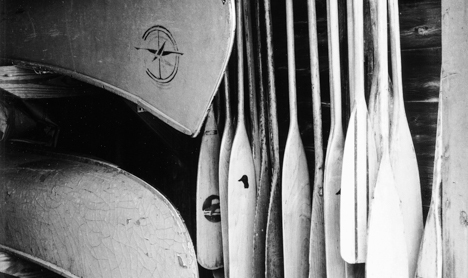 Tables are assigned, to help foster a sense of belonging for the camper. 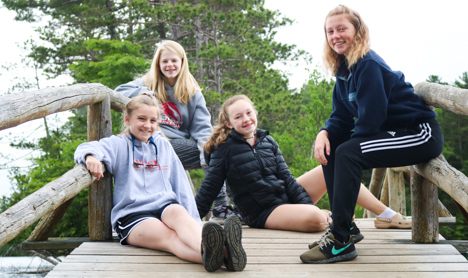 Tables are a mix of younger and older girls, another way we help create strong friendships throughout camp. 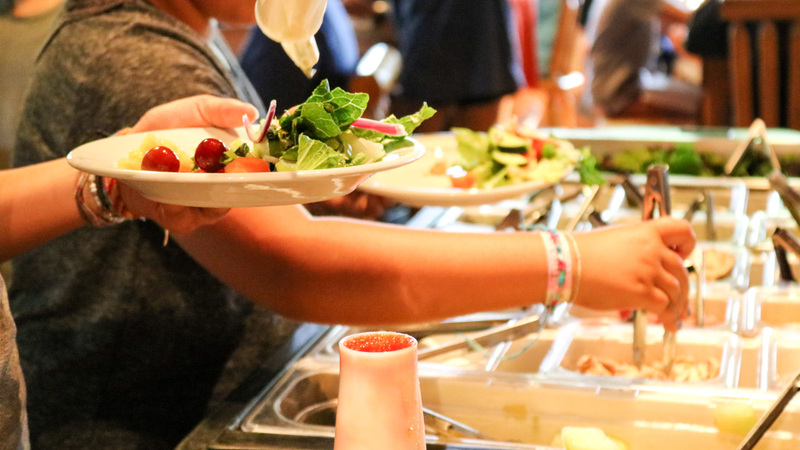 Clearwater prides itself on its delicious, nutritious food for campers and staff alike, which means virtually everything is made from scratch. All that nutritious, home-cooking is thanks to our cooks from Sterling Food Service Management, a family owned company contracted with Clearwater since 2012. The kitchen is led by Head Chef Dave Prasse and his assistant Casey Valentine. They are joined each summer by a prep cook and three other team members who help set tables and bus and clean plates after meals. Every meal includes vegetarian options. We also accommodate various food allergies and special dietary needs, which parents note on the camper Health History. Dave also serves potentially new, healthy foods that campers can try and might not encounter at home. 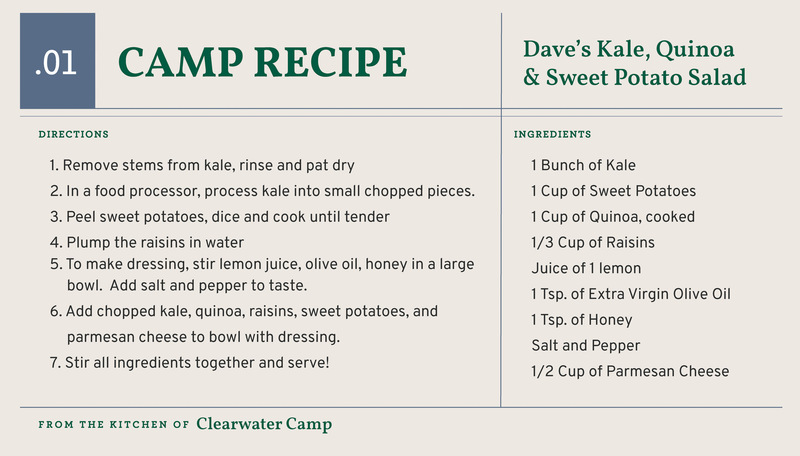 One of the surprise hits from summer 2013, for example, was Dave’s kale, quinoa and sweet potato salad. 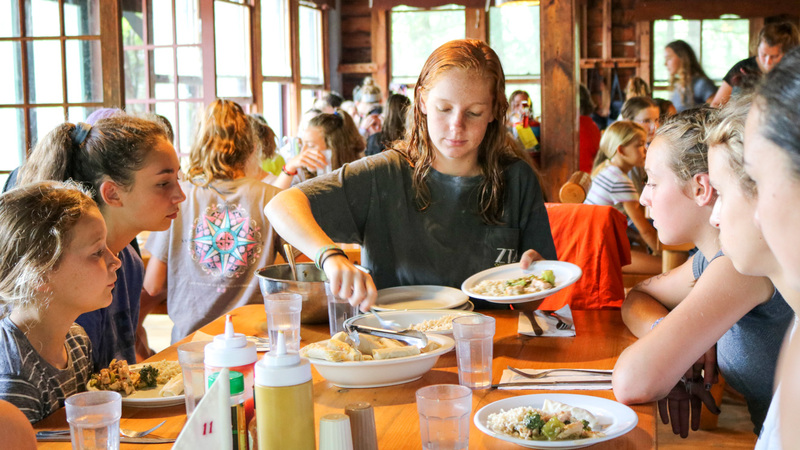 From food, to song, to the collective celebration of camper accomplishments, mealtimes are an opportunity to gather and enjoy the nourishment of each summer’s truly special camp family.